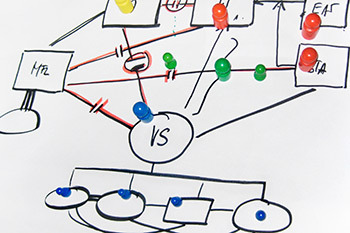 Systemische Beratung Düsseldorf specialises in multi-dimensional organisational development that takes into account all of the facets of the dynamic construct that is "the company". For its customers, some of whom have relied on its expertise for years, it operates on four different levels. Real examples illustrate the range of services provided by Systemische Beratung Düsseldorf. Whether the examples involve innovative coaching formats, popular management development programmes, unique large group events, awards or publications, they speak for themselves. 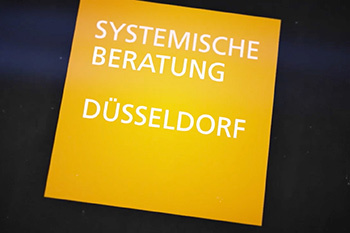 More than a decade of experience in targeted business coaching is reflected in Systemische Beratung Düsseldorf’s customer profile. Many of its customers have been relying for years on the expertise of Helga Brüggemann and her network partners. Systemische Beratung Düsseldorf provides high-quality coaching services tailored to the needs of medium-sized enterprises and large corporations with complex development projects. Managers seeking guidance are advised specifically on the development of their skills.